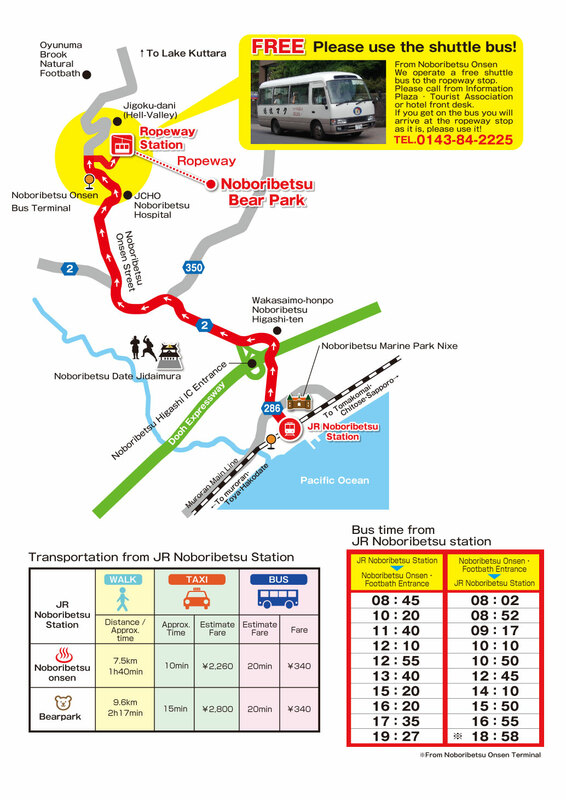 We operate a free shuttle bus to the ropeway stop. Please call from Information Plaza · Tourist Association or hotel front desk. 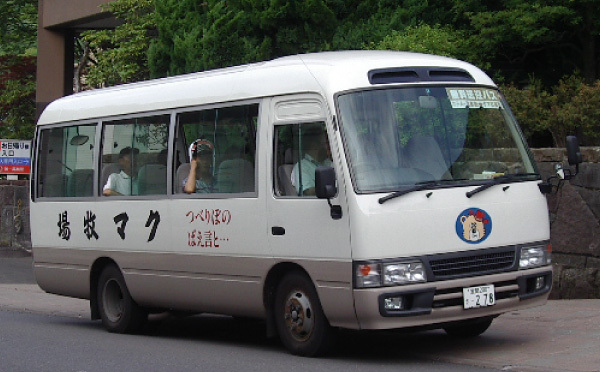 If you get on the bus you will arrive at the ropeway stop as it is, please use it! It’s an explosion crater of Mt. Kuttara, 450 m in diameter and 11 ha in area. 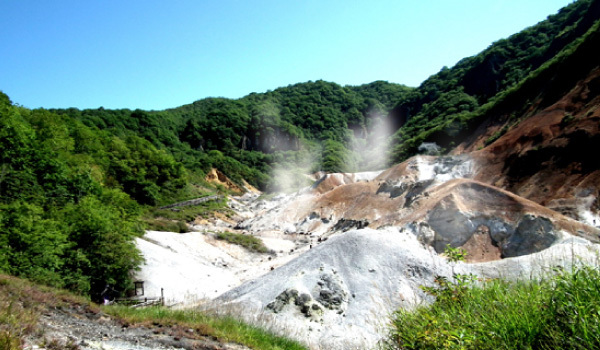 About 10,000 tons of hot spring in various kinds is gushing out a day and supplied to accommodations in Onsen town. 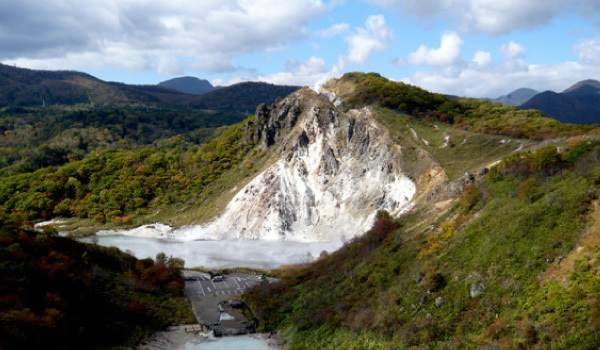 The views of boiling and bubbling water make Japanese visitors imagine Hell where demons live. An explosion crater of Mt. 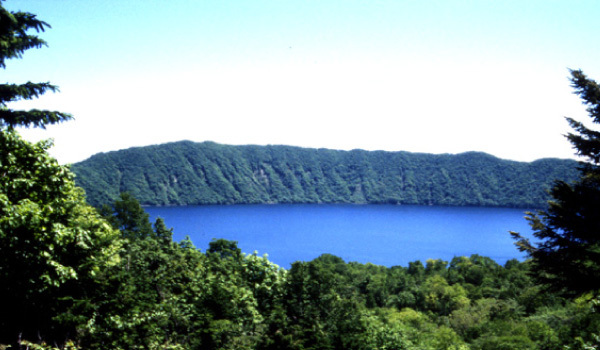 Hiyori, Oyunuma is a gourd shaped sulfurous lake approximately one kilometre in circumference. At the bottom of it, hot water bubbles out of a sulfurous hot spring with a temperature of approximately 130°c. Even on the surface, the temperature of the grayish black water is around 40-50°c. In the past, an industry developed around collecting the accumulated sulfur on the bottom of the lake. 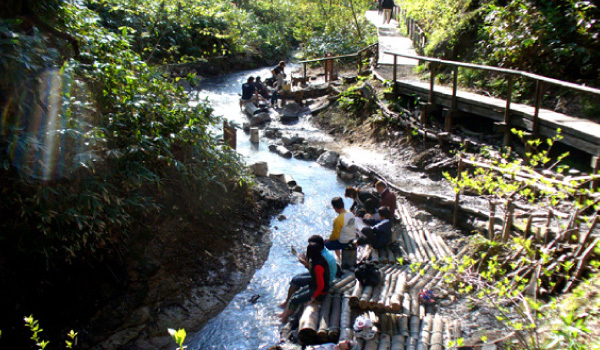 On Oyunuma Brook Scenic Trail, nearby Taisho Hell, a natural footbath can be enjoyed in the hot spring water that flows out of Oyunuma. In the midst of nature, amid the therapeutic forest scents, you can wash away that traveling and walking tiredness. 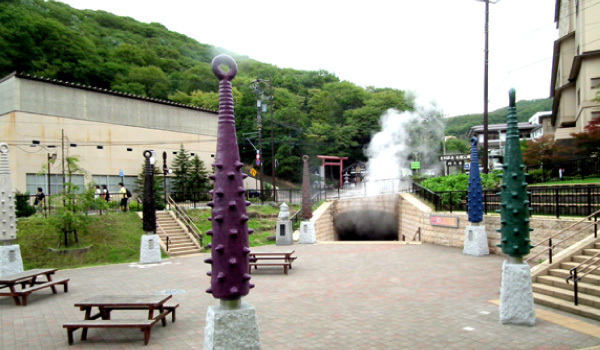 Sengen Park incorporates a geyser that erupts from beside the hot spring water stream that flows from Hell Valley. Visitors can experience the eruption of the geyser at intervals of approximately three hours. There is the sound of pressure building, followed by the eruption of the geyser, which is accompanied by a cloud of steam. 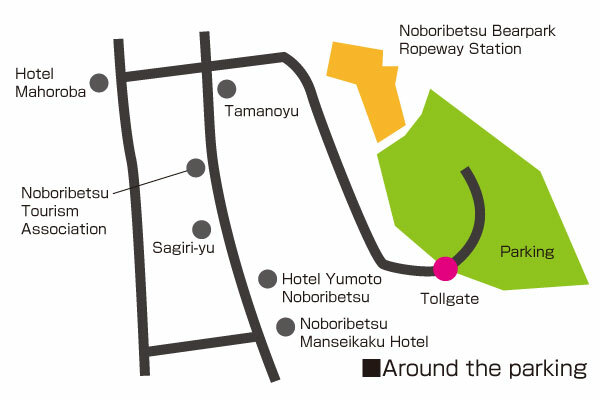 In mid May, lines of approximately 2000 cherry blossom trees provide a warm welcome for visitors to Noboribetsu Onsen. 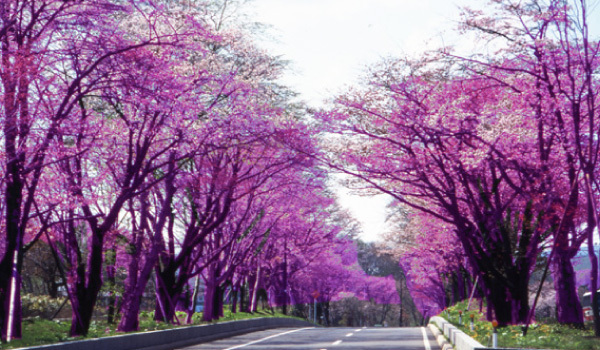 These trees, which have been planted with loving care by the local community, turn the roads leading to Noboribetsu Onsen and Karurusu Onsen into tunnels of flowers. Lake Kuttara, a circular lake with a circumference of approximately 8 km, was once a volcanic caldera. This mystical lake has an irresistible beauty and some of the clearest water in the county. One notable feature of Lake Kuttara is that not a single river flows in or out of it.